It has been a while since my departure to the United Kingdom. I miss my country a lot, the people I love, and the food I admire. 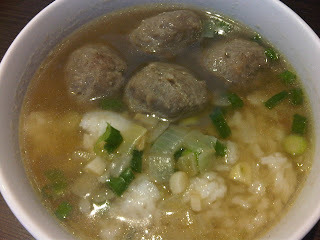 One of the food that I miss so much is Bakso. 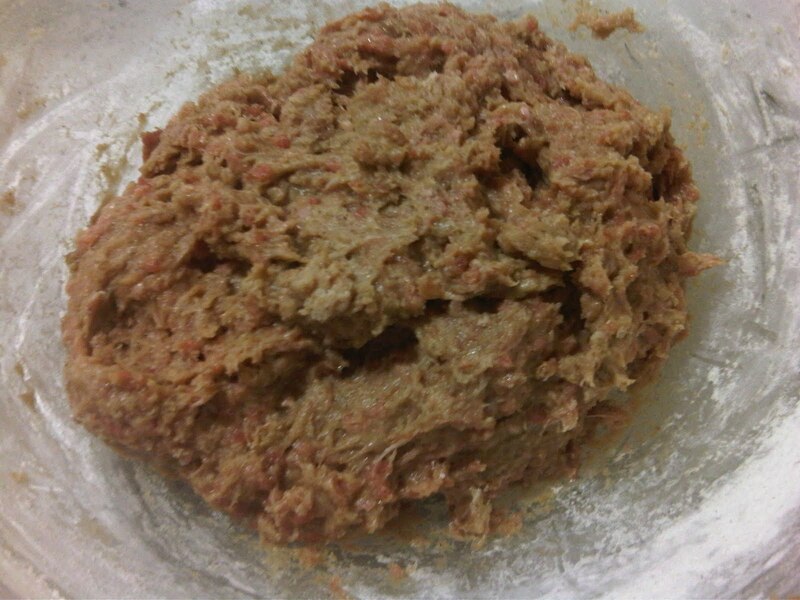 It is a special Indonesian Meatball. What makes it different with any other ordinary meatball is the bouncy texture and the smooth surface. It has a rich flavor of beef and usually being served with beef stock soup, a little bit of rice noodle, and a little bit of egg noodle (yellow noodle). I asked my mum about the exact way of making Bakso. Unfortunately it seems very difficult since it needs a special machine to mix the mixture. The mixture needs to be extremely cold, so Bakso sellers in Indonesia usually add ice to their mixture. Because of that there is a need to use a very special machine that will be able to be strong enough to mix all the ingredients. 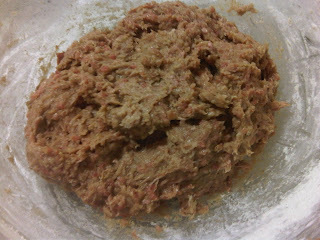 So I try to make an experiment on making the Bakso in a simple "amateur" way without using any special machine. We cannot say we can't before we try! Right???? Surprisingly, GOD LOVES ME SO MUCH...!!!!!! My first experiment on the Bakso is a total success. Yayyyy.....!!!!! 1. 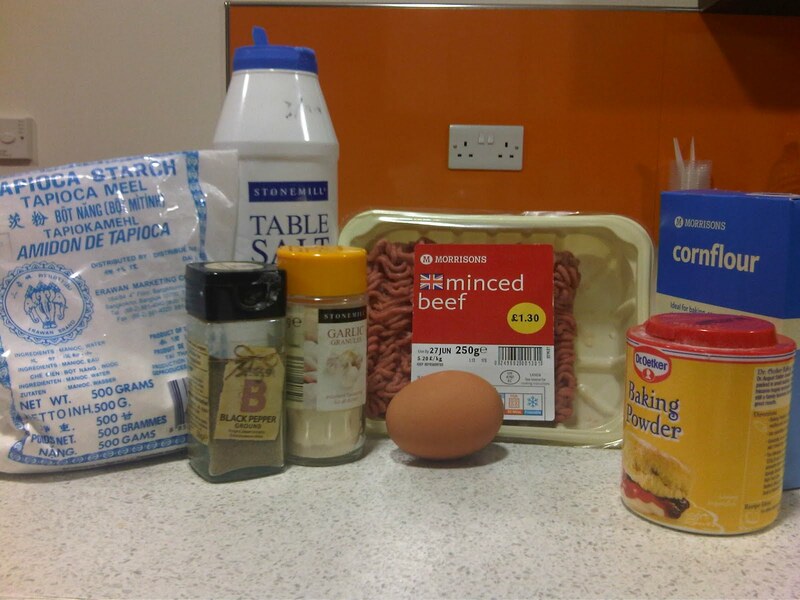 Put all the ingredients in a mixing bowl. 2. 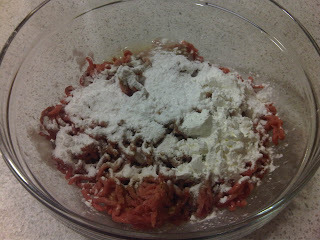 Mix all the mixture until well mixed. Wrap the bowl with a plastic wrap (or put in in a container with a lid). Refrigerate overnight (I make my mixture the night before I make the Bakso soup. But keeping it in the fridge only for a couple of hours is also fine. What's important is just to make sure that the mixture is completely cold). 3. When the mixture is completely cold, prepare a pot. 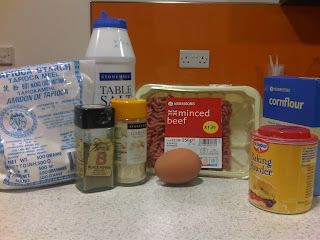 Add water, then bring to boil. After it comes to a boil, turn off the heat (stove). 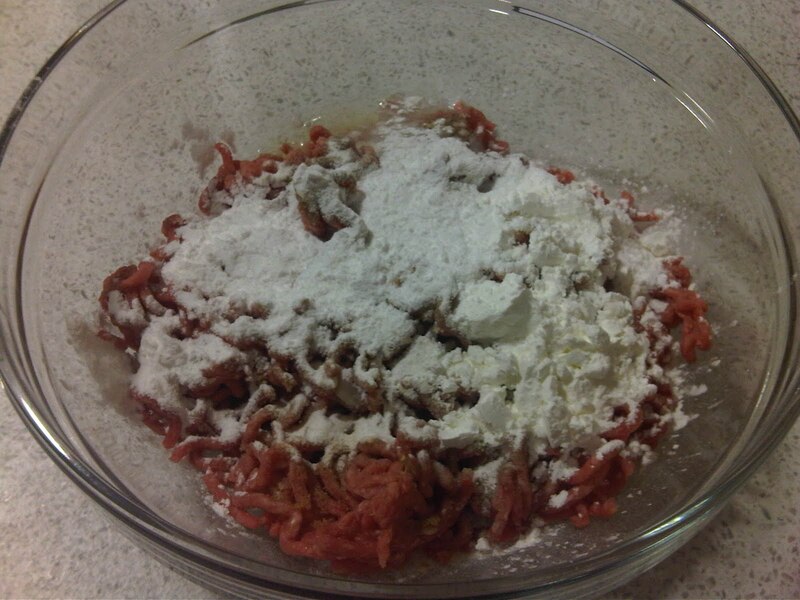 Take out the mixture from the fridge. Shape it like a small ball. Directly put the ball mix into the hot water. 4. After all the mixture has been shaped as a ball in the hot water, turn on the stove again in medium heat, then bring to a boil. Leave to cook for about 5 minutes after it comes to a boil. 5. Lift the Bakso ball. Then use the water as the beef stock for the soup. Just simply add fried garlic and fried onion to the beef stock. Add a bit more of salt and sugar. 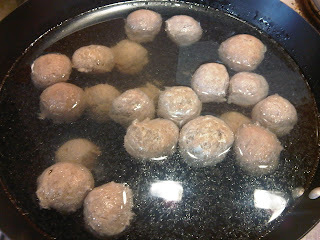 When the taste is okay, put back the meatball into the beef stock. I love bakso too! My favorite currently is Bakso Atom's Cheese Bakso.